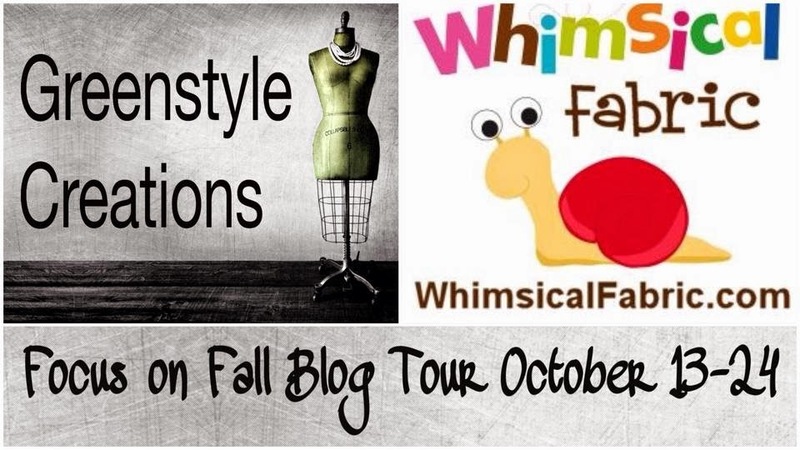 I can't tell you how excited I am to be a part of Greenstyle's Focus on Fall Tour! When I had my choice of patterns from the kid's line to sew up for the tour, I had the hardest time choosing what to sew. I finally settled on the Brassie Capri Pants, Lacy and Lane Hooded T-Shirt, and the Regan Dress or Shirt. Yep, that Regan dress/shirt is totally a girl pattern. But I will share with you how I made it more boyish. We did two looks for our stop on the tour. Both looks feature the Brassie Capri Pants. Our first look is a pajama/lounge wear look. 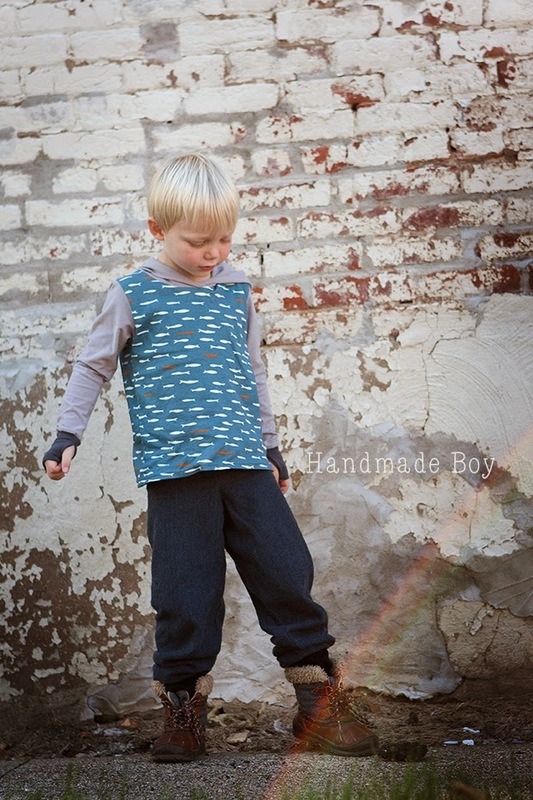 I used the Regan shirt option and changed the body to a more boxy style more suitable for a boy. I also straightened out the bell sleeves. 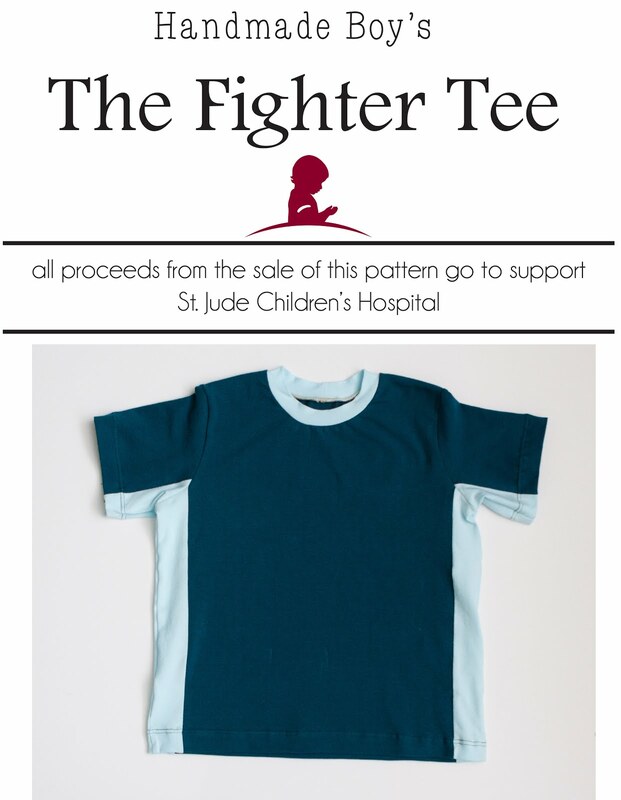 Perfect comfy t-shirt for my guy to sleep in. Or play in. Who are we kidding? Clothes totally do double duty at my house. 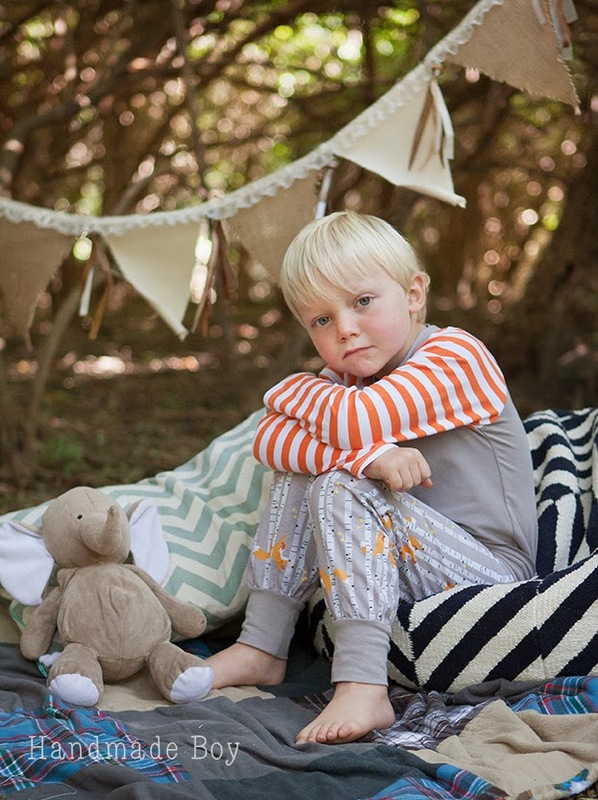 Riley Blake Designs was so generous to supply all the fabric you see here for this look. 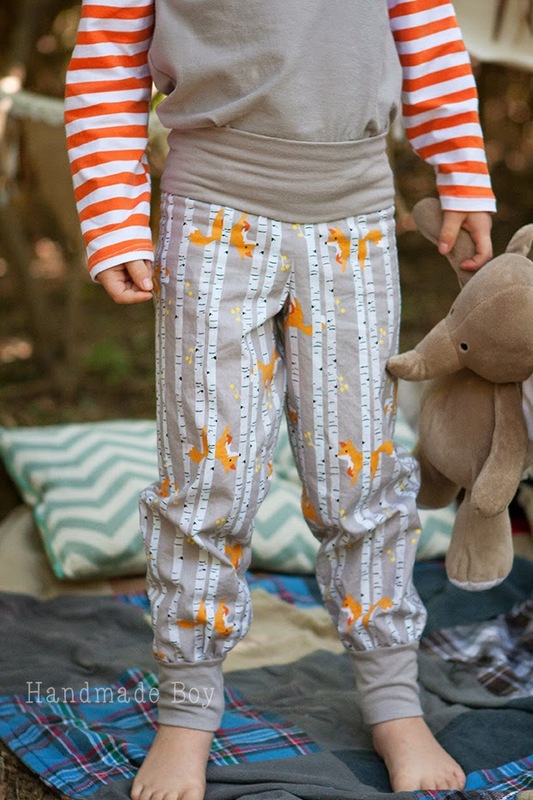 The orange stripes and grey solid are a wonderful cotton jersey from the knit basics line and the foxes are from their line Good Natured and are a cotton woven. LOVE those foxes! This pair of pants was sewn per his waist measurments. They are a bit slim, but trust me, he had no problems running around in them. I lengthened the pattern to make them pants length. I have no problem with capris on him, but he is funny about them. They confuse him. He says they are too small. LOL This are really comfy and sew up super fast! I plan to make a few more pairs in knit for him. He likes cozy fabrics. Our second look is a day time look. But we took a quick detour while changing for that shoot. I hadn't planned on it, but I really like the mix and match way the two styles go together. So of course we had to take a couple of pictures with the stacked patterns! Here I paired some Birch Organics that I had previously purchased with the Riley Blake grey knit. 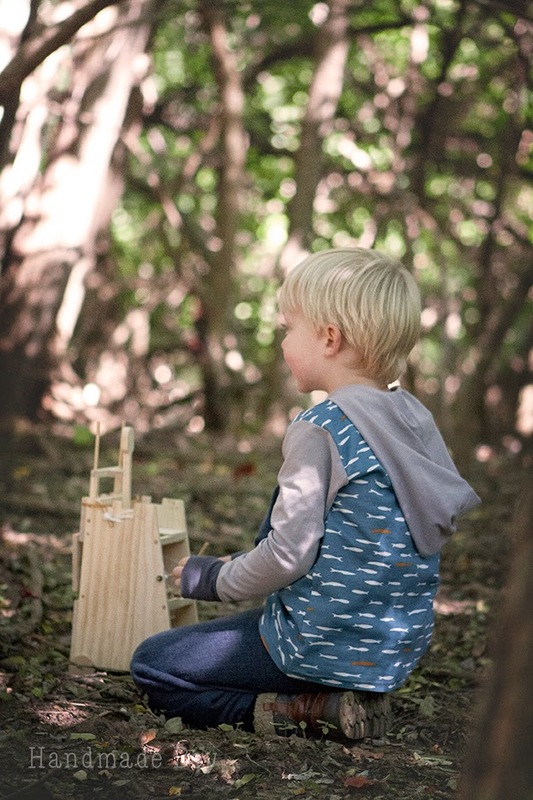 Really love those fabrics together in this Lacy and Lane Hooded T-shirt. He loves the large hood and of course, thumb holes in the cuffs! The Brassie pants I made for his day look are from a cozy flannel I purchased from JoAnn's last year. It has a slight herringbone pattern to them. I sewed up a size larger than his waist measurement for this pair, so they have a slightly baggy look to them, that I love. I did insert some elastic into the waist band to make sure they stay in place. We do our best to avoid wardrobe malfunctions over here. I would call this look "styling nature boy". The cuffs protected his tender little hands from all the climbing. Those were his words by the way. The cuff fabric is from Purple Seamstress. It's grainy, slightly out of focus, and I totally underexposed it. But that folks, is the look of concentration and determination in a 4 year old. By the way, nearly every picture is out of focus because the kid would NOT hold still for a second. And I wasn't able to crank up the shutter speed of the camera enough to keep up. 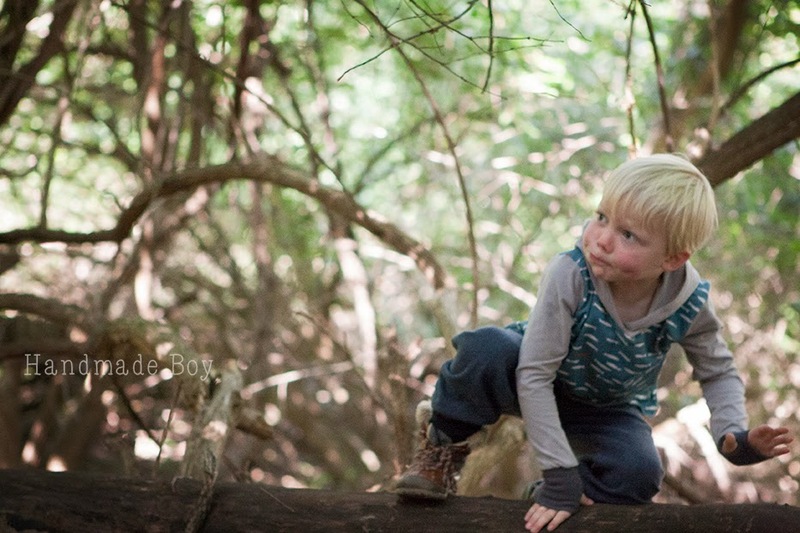 He took those woods as his own personal America Ninja Warrior course. He built this catapult with his daddy this week. He was so excited to bring it out with us. It bought me 15 seconds of stillness. That was a joke. Next time I'll bring more pom poms with us. So there you have our two, okay, three really, looks for the tour. 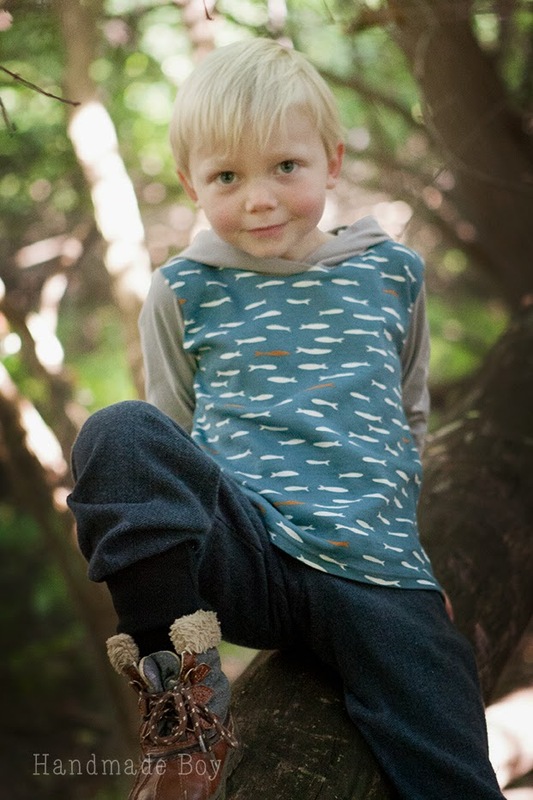 Perfect fall styling for an active boy in the woods or the city! 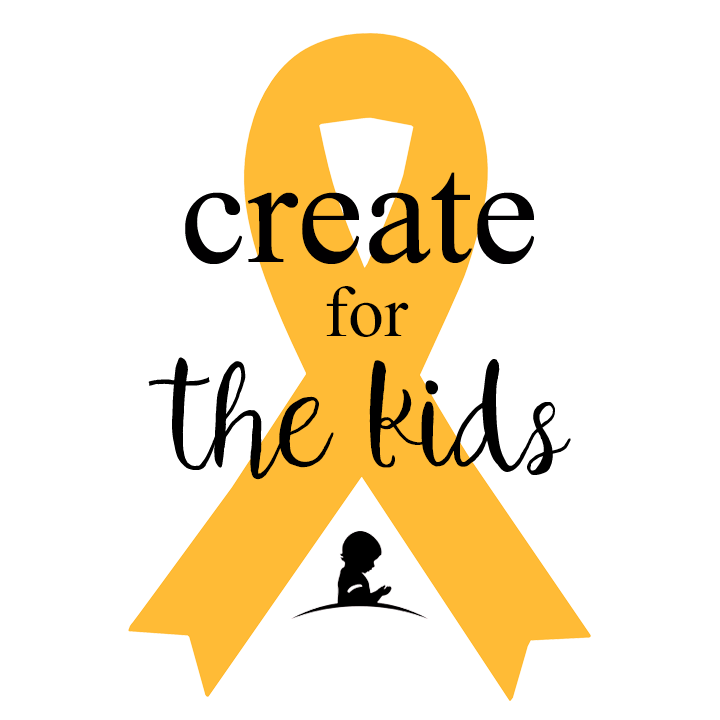 Be sure to check out all the other stops on the tour! 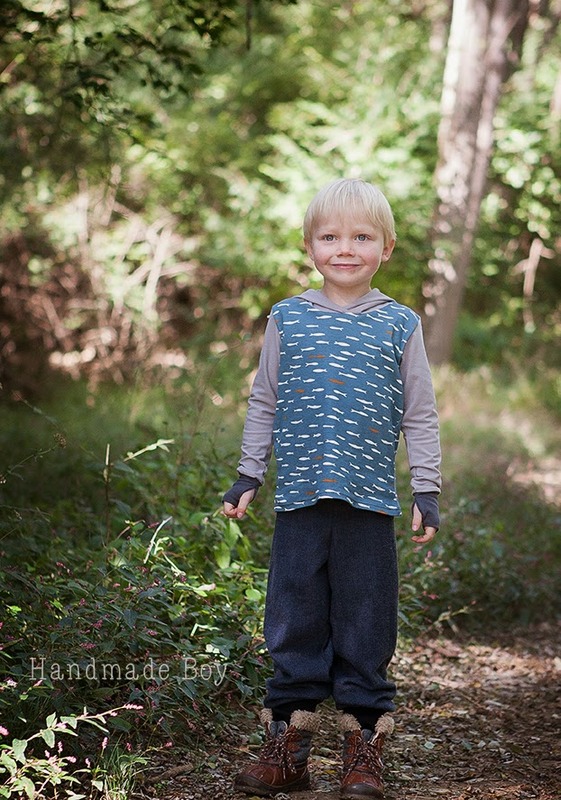 Love what you see and want to sew up your own fab clothes for fall for your kids? Well you're in luck! 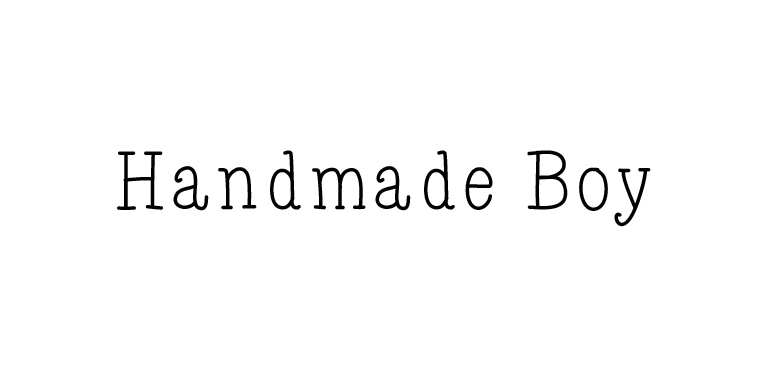 Greenstyle Creations is offering a 25% discount with the code "25discount" during the tour. 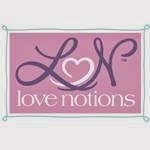 Whimsical Fabrics and Greenstyle Creations for providing the prize packages. Enter by using the widget below! I love all of it, so comfy looking. The jammie look is my favorite. Wow - I didn't know you could make the bottoms in woven! What a great idea! 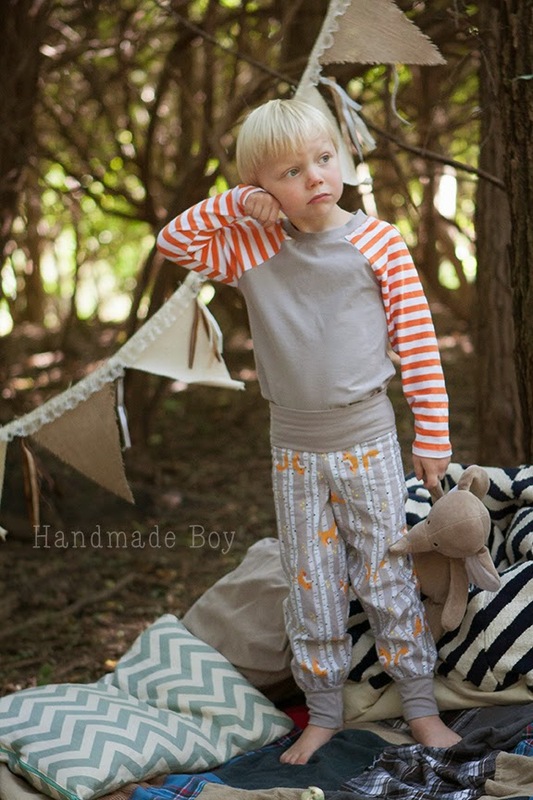 My son keeps picking out woven, very printed fabrics and I can never figure out how to make pants out of them! Great tops patterns, can see them in girly versions as well. Every outfit looks great and comfy. Great outfits! And T is on my short list of cutest little boys ever! Especially loving the hoodie! And the fox print! He sure is a handsome young man. I love the fabrics used! That hoodie is my favorite!! That hoodie - no words! I love your fabric choices!! Such awesome boy outfits!!! I love the hoodie!!! 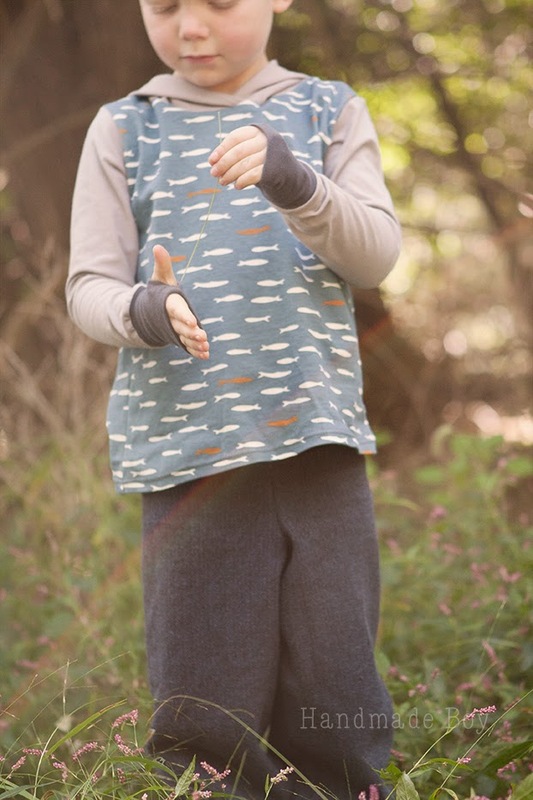 I'm a huge fan of Riley Blake knits- I love how you made it work for a boy. 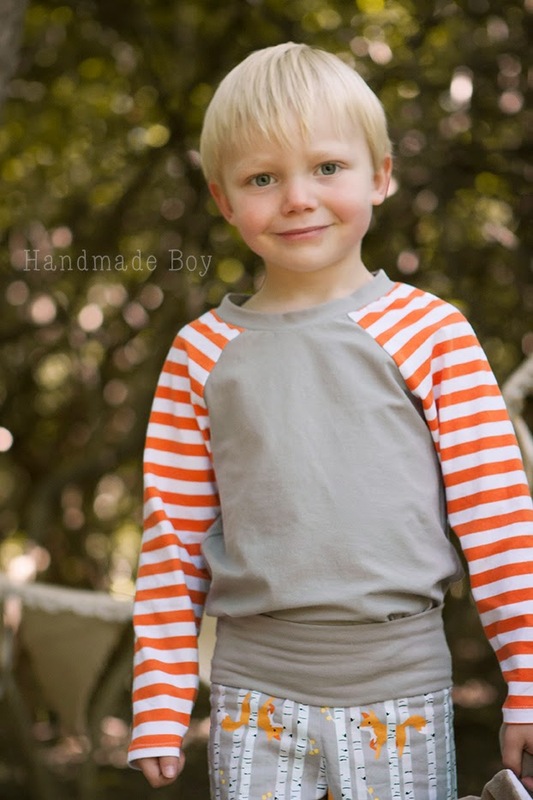 I never know quite how to choose fabric for my nephews- good inspiration! 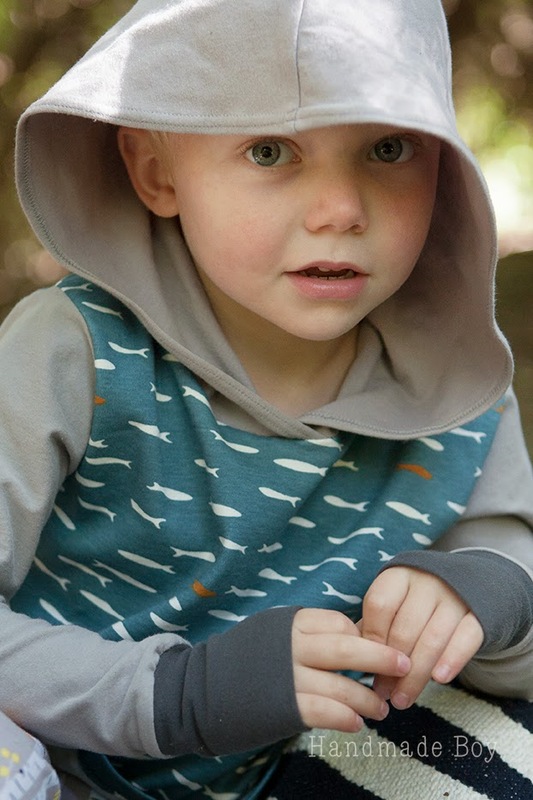 Lovin the hooded t shirt - will make great gifts! I love the fabric used in the hoodie! 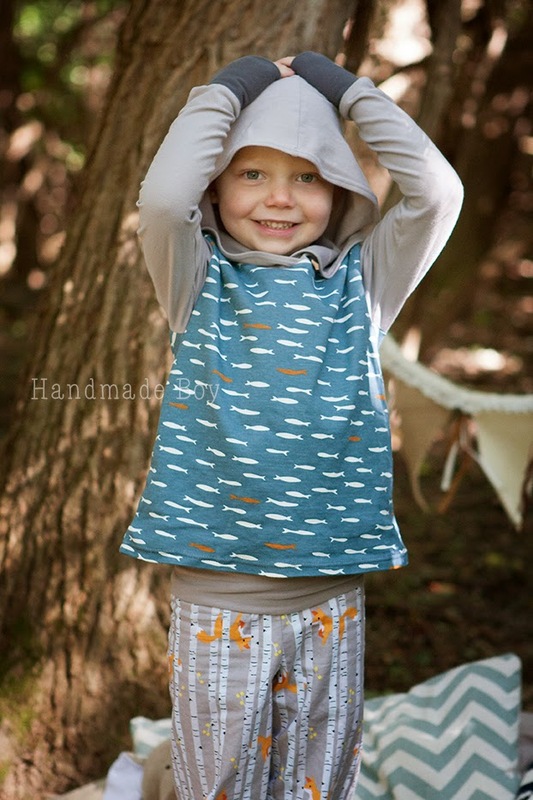 Can't decide if I like the hoodie or the pants better- both adorable! Comfy and stylish is the way to go! Na na na na na na na na BATMAN!! !